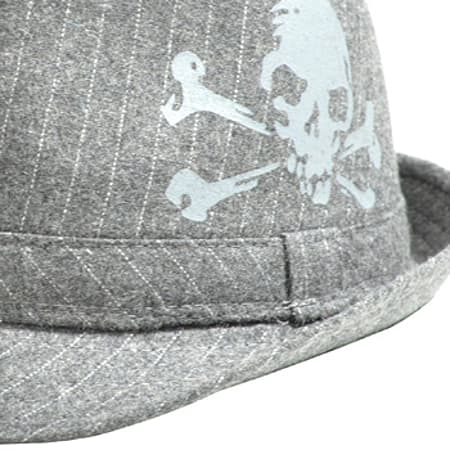 Trilbys are cool; we here at Blue Banana don't need to tell you that, so this Skull and Crossbones design trilby is a great take on a cool design. A grey pinstripe trilby that can be worn with just about anything complete with a punk style print that is sure to make you stand out in a crowd. 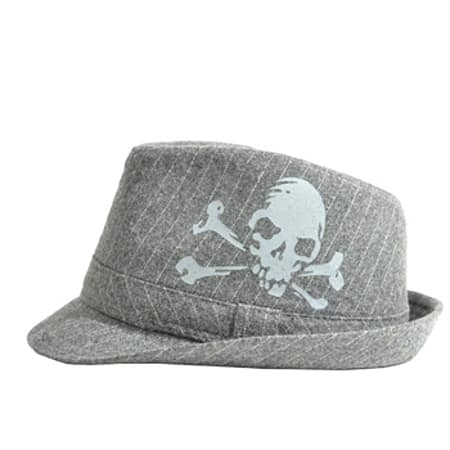 Perfect during the summer months for keeping the sun out of your eyes but without losing your stylish look, this Skull and Crossbones trilby is a must buy this summer! 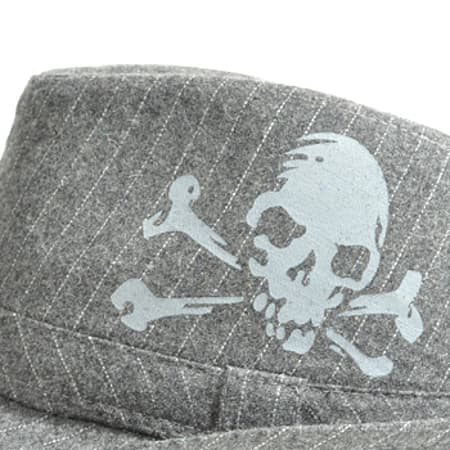 The Skulls and Crossbones print on this trilby stands out against the grey background and is high quality so it won't peel off after one wear. The hat is also comfortable without making your head warm and sweaty under the brow. We love this Blue Banana Skulls and Crossbones print trilby and are sure that it will be a popular choice for special events such as festivals. This Blue Banana Skulls and Crossbones print trilby is part of our service and delivery guarantee, meaning that you could receive your own Skulls and Crossbones trilby sooner than you'd think and in pristine condition. You also won't find a better quality trilby for the price that we're offering so there's no excuse not to grab some stylish headwear of your own!